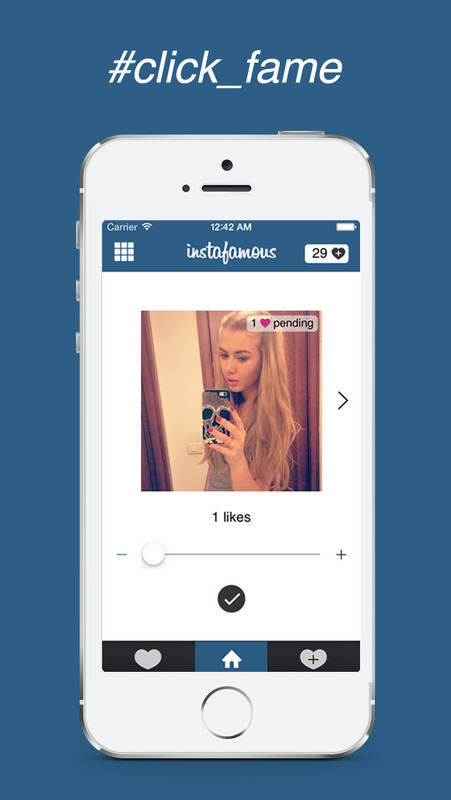 Instafamous – over 10 million genuine Instagram likes exchanged and counting! Have you ever dreamed about being the star of your social circle and leaving your friends in awe of the attention and likes your Instagram photos get? Do you want to become more popular than your business or personal competitors could ever dream of being? Well, you definitely came to the right place. Instafamous provides a service that allows users to exchange Instagram likes between them completely free of charge. Over 50,000 active users of the app guarantee that you will be able to receive your likes in record time, and as it grows, it will become even faster. Our servers are equiped to deal and scale with any number of users and photos, and distribute likes evenly for everyone. New users receive a 20 credits bonus. Step 1: Earn credits by liking photos of other users that the app provides. Step 2: Spend credits by scheduling likes for your own photos. Step 3: Our app will keep serving your photos to other users until you have received all scheduled likes. Step 4: Buy yourself a beer, you are famous now! If you like our app be sure to rate us and like our pages on Facebook and Instagram! LIMITED TIME OFFER 1 LIKE = 1 CREDIT. Boating HD: marine & lakes charts, routes, GPS tracks for cruising, fishing, yachting, sailing, diving.